This month, the latest accommodation includes a newly refurbished hotel in the heart of Melbourne, a self contained B&B cottage and a 1920’s country house in Gippsland, plus a cosy B&B and stylish retreat in the Yarra Valley. Following a $4 million refurbishment, the Mercure Melbourne has unveiled a new look and a new name. Located right in the centre of Melbourne overlooking the historic Treasury Gardens, the aptly named Mercure Melbourne Treasury Gardens features 164 newly refurbished rooms, the Lime Restaurant and Bar and five meeting rooms catering for up to 260 people. The hotel provides an ideal base from which to visit popular city-based attractions such as Federation Square, the MCG and Parliament House as well as the wealth of restaurants, cafés, bars, theatres and shopping on its doorstep. Little Lake Cottage Bed and Breakfast is a self-contained country cottage situated on farmland just seven-kilometres from Nyora, about an hour and a half drive south-east from Melbourne in South Gippsland. The quiet and secluded cottage sits in a picturesque lakeside location, nestled into a small area of bushland frequented by abundant birdlife. The accommodation features include a queen-sized bed, fully equipped kitchen including a generous breakfast hamper, spa bath, flat screen TVs and DVD players, and air conditioning. A renovated 1920's country house, Eden House has three bedrooms that provide self-contained holiday accommodation for up to six people. The house is located in historic Toora which is about three hours south-east out of Melbourne and only a short drive from the popular Wilsons Promontory National Park. Features include a modern kitchen complete with coffee machine, TV and DVD player, and a large patio area. Tuck Inn is a stylish new B&B with five guest rooms each with ensuite. Previously the Healesville Masonic Lodge, Tuck Inn is located within easy walking distance of Healesville’s main street with Healesville Sanctuary and Yarra Valley wineries a short drive away. Rooms boast king or queen-size beds and include heating and cooling systems, there’s also an open fire in the communal dining area. The tariff includes a cooked breakfast and coffee. Lovers of all things vintage will adore Vintage Heaven,a cosy retreat in the Yarra Valley. This romantic getaway is located in the former stables of ‘Morrington’, one of Healesville’s original homesteads, which dates back to 1906. The old building has been renovated but retains a sense of rustic charm through vintage décor including a claw foot bath and chandelier. Breakfast supplies are provided so guests can eat at leisure. From luxury hotels in the Colca Valley and Cusco, to boutique hotels in the Sacred Valley, there are a number of exciting new properties in development in Peru in 2012. These properties, coupled with the unique activities and experiences on offer in Peru, make it the perfect destination for discerning Australian travellers to discover. World-renowned chef Gaston Acurio is set to open Hotel NATIVA, a luxury boutique hotel in the Sacred Valley, in late 2012. Gaston is also re-opening his famed flagship restaurant Astrid and Gaston, in Casa Moreyra, a colonial hacienda in Lima. The new Astrid and Gaston, which Acurio describes as "the most inclusive restaurant, in the most exclusive corner," will also serve as a cultural centre, and host round tables and cooking classes. These projects are just a part of Acurio's plans to open further hotels and restaurants in Latin America. The newest property by Aranwa Hotels Resorts & Spas is being built in the Colca Valley, near Arequipa. This riverside resort spa is sheduled to open in April 2013 and will have 32 suites and seven bungalows, all with a terrace or balcony and floor heating. The resort will have a spa, restaurant, chapel, cultural area and will allow guests to enjoy a relaxing experience while getting in touch with the natural beauty of Peru. The Marriott hotel group is set to open its second property in Peru in July 2012. 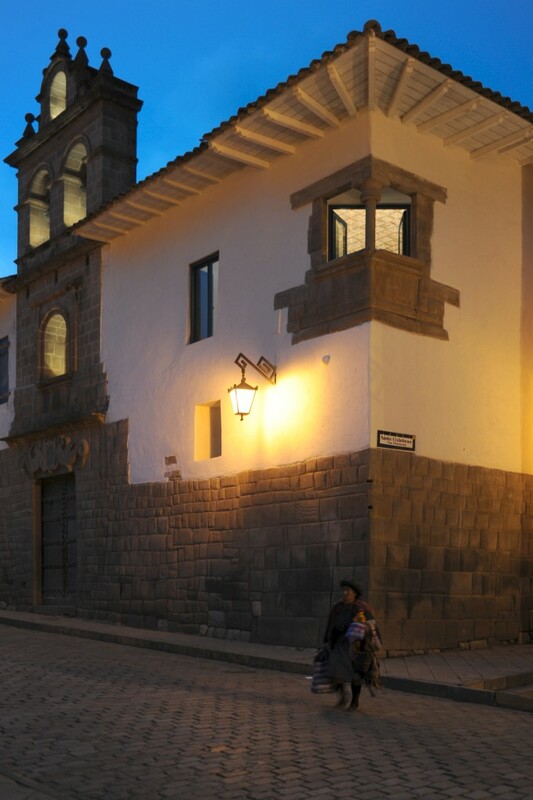 The JW Marriott Hotel Cusco is being built around a colonial church and ancient Inca artefacts found on the site. Located in the heart of Cusco's historical district, the hotel will include a museum of prominent artefacts, many of which will be preserved in-situ. The hotel will feature 153 luxury rooms and suites equipped with luxurious bedding and sumptuous bathrooms, soaking tub and separate shower, as well as the latest in in-room technology. Each room will also have an in-room supplemental oxygen system to relieve altitude sickness as the property is located 11,200 feet above sea level. The hotel will also help guests adjust to the altitude in spa treatment rooms with bespoke treatments. The new Orient-Express hotel, the Palacio Nazarenas, located in Cusco is set to open in June 2012. The historic former convent will be transformed into a 55-suite hotel with fireplaces and views towards the hillside Inca site of Sacsayhuamán or Cusco's cathedral in the Plaza del Armas. Guests will have access to an iPad pre-loaded with Cusco city guides and restaurant suggestions, as well as Cusco's first outdoor heated infinity edge swimming pool. Chica Suites at Palacio Nazarenas will be priced from US$679 per night and will include a la carte breakfast, oxygenated room and personal butler service. San Agustin Hoteles has three new properties in the process of construction. Firstly the 50 room San Augustin Colca, located in the Colca Valley near Arequipa, is in the process of being built and is expected to be opened this year. The San Augustin Paracas Resort, located 300km south of Lima on the coast, is also set to open in 2012. The construction of a new 80 room Cusco hotel, San Augustin Plaza Hotel, will commence in 2012, and will open in the first quarter of 2013. PromPeru's coordinator for the Asia Pacific, Rosana Guinea, believes the openings of these new properties, in partnership with the unique experiences on offer in Peru, demonstrate the growing popularity of Peru as a tourist destination. "2012 and 2013 will mark the opening of a number of luxurious and unique properties throughout Peru, which will appeal to a broad cross-section of travellers. Furthermore, six Peruvian cities were recently nominated for the New 7 Wonders Cities Campaign, and Peru was recently selected as the finish point for the South American Dakar Rally 2012." "Each of these developments is testament to the growing popularity of Peru as a must-visit destination for travellers. We are confident this interest in Peru, and the subsequent development of more new products, tours and properties, will only continue to grow throughout 2012 and beyond," remarks Ms Guinea. It’s business as usual for Fiji’s tourism industry. Flood waters have rapidly receded, all main roads are open and the destination’s tourism infrastructure, along with ground, air and sea transportation services, is back in full operation. Nadi Town has reopened to traffic and the clean-up is well underway with local storekeepers now busy restocking shops in order to resume business from today. The previously partially flooded Nadi-Denarau Island road is also completely clear of water with all resorts in the area reporting a full return to normal services and both inbound and outbound guests once again able to travel unimpeded to and from Nadi International Airport. Domestic carriers Pacific Sun Airlines and Northern Air flights are fully operational and helicopter transfers between the Coral Coast, Denarau and Nadi International Airport have now been expanded to once again include the outer islands. On the water, both the Malolo Cat and Southsea Cruises/Awesome Adventures have recommenced full services into the Mamanuca Islands while the Yasawa Flyer’s inbound/outbound services into the Yasawa Islands have been in place since yesterday. Captain Cook Cruises has also resumed its fully accommodated and daily cruise program while Blue Lagoon Cruises’ schedules will recommence with a three-day cruise departing from Lautoka tomorrow (Saturday). All resorts and hotels across the destination continue to operate as per normal. Tourist season is upon us, and over the next few months, Australia will experience its peak of visitors, eager to enjoy our beaches, nightlife and native flora and fauna. Despite our nation being a fantastic place for backpackers to visit, as with any country, Australia is still home to risks and dangers that can seriously catch a visitor unawares and potentially cut a holiday short. 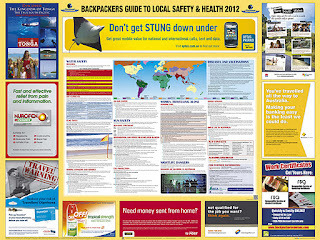 Recognising this, Pro-Visual Publishing has released the 2012 edition of the Backpackers Guide to Local Safety & Health. Now in its third year, this guide is an invaluable tool to help educate visitors on ways to keep them safe during their stay in Australia. The information is concise, easy to follow and approved by the Backpacker Youth Tourism Advisory Panel. 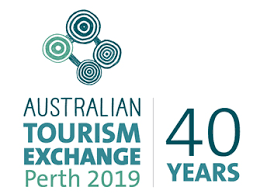 Over the next few weeks, thousands of tour operators, backpacker accommodations, Internet cafes, YMCAs and tourism info offices throughout Australia will be receiving their free copy, with additional copies available upon request. 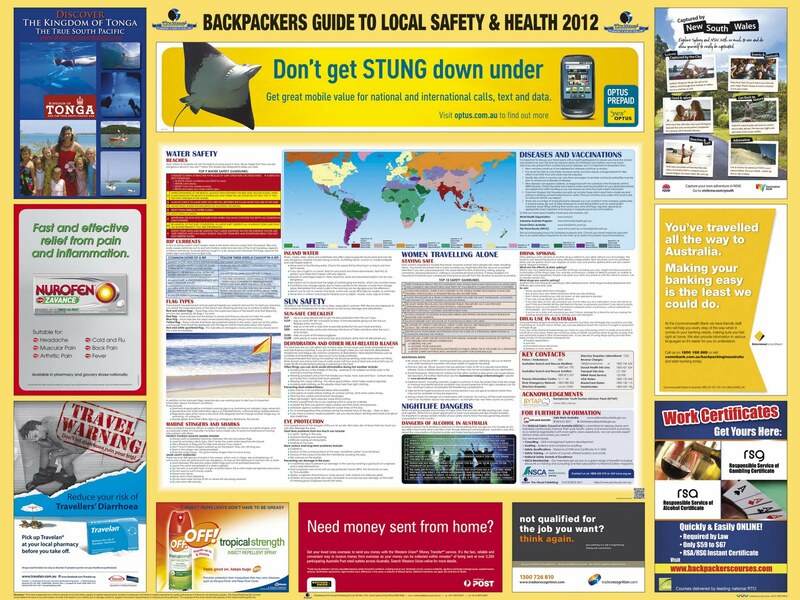 The topics covered in the guide range from the obvious such as sun safety, water safety, marine stinger and shark safety, avoiding dehydration and vaccinations, to commonly overlooked topics such as drink-spiking, safety for women travelling alone and nightlife dangers. Despite the topics focusing on serious issues that can and do affect visitors, ultimately, the topics are presented in a way that's not meant to alarm, but to inform. "Australia is a fantastic location for Backpackers across the globe to visit, but it's important for visitors to take heed of the local laws and safety guidelines throughout their stay. With our latest release of the Backpackers Guide to Local Safety & Health, we at Pro-Visual are aiming to help make any visit to Australia a safe and enjoyable one. I would like to thank all of the sponsors of this guide, who have made it possible for it to be produced and also distributed to the industry free of charge." said John Hutchings, CEO, Pro-Visual Publishing. Pro-Visual Publishing is the leading specialist in wall mounted workplace health & safety, food safety & hygiene and health and wellbeing information resource charts. Each chart is practical and informative, providing a quick reference point. Pro- Visual Publishing's charts are designed to inform, motivate, educate and above all keep people and their workplaces safe. 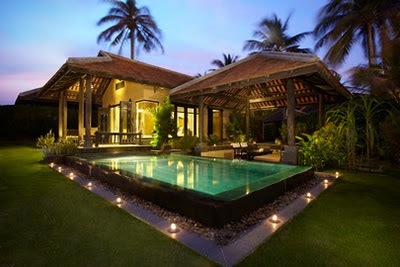 Oriental Residence Bangkok opened its doors on 23 January 2012, and sets new standards for luxury residences. Offering contemporary interiors, bespoke amenities and exceptional, personalised services, the property is managed by ONYX Hospitality Group, whose management portfolio includes the hotel group Amari, amongst other brands. Oriental Residence Bangkok is located on Wireless Road, a well-known, uniquely landscaped central area of the Thai capital. Set within an iconic 32 storey building, the property comprises 46 private ownership units and 145 serviced residence ranging from 41 Executive Deluxe, 70 One-Bedroom Suites, 30 Two-Bedrooms Suites and 4 Three-Bedroom Suites. A sense of understated elegance permeates the stylishly appointed residences, ranging from executive deluxe and one-bedroom through three bedroom residences, each showcasing distinctive residential décor, artistically directed by Chanintr Living, Thailand's leading retailer of luxury home furnishings. Ranging from 45sqm to 188sqm in size, the residences feature polished hardwood floors, stylish imported furnishings and fixtures with expansive vistas of the city. "We are very excited to be able to fully showcase our property for the first time", said Patrick Schaub, General Manager. "Oriental Residence Bangkok aims to become one of the leading properties in the city and our exemplary standards of personalised service will enhance Thailand's world renowned reputation for warm hospitality." To mark its opening, Oriental Residence Bangkok is offering an exciting selection of special promotions featured on www.oriental-residence.com. Dining options at Oriental Residence Bangkok include Café Claire - an all-day dining restaurant that provides boutique dining experience and offering gourmet comfort food made with premium ingredients, and Mandopop, an innovative Chinese dining venue showcasing modern presentations of traditional Cantonese, Sichuan, and Hakka dishes. The signature restaurant combines authentic Chinese cuisine against a stylish modern-day Chinese pop culture setting. The Play Deck on the 4th floor of Oriental Residence Bangkok offers an elegantly inviting open area for exclusive relaxation and recreation. Facilities include a Fitness Room with state-of-the-art TechnoGym equipment, a 20 metre swimming pool and a multi-purpose Play Room along with the Deck Bar. Three meeting rooms ranging from 16 - 145 sqm with a capacity to accommodate up to 100 participants are located on the third floor with most boasting natural daylight, featuring the latest technology and business services. Every aspect of Oriental Residence Bangkok speaks to style: a landmark location, unrivalled views over expansive gardens and modernist interiors with nostalgic homage to turn of the century Thailand in its finer details. Residents will enjoy convenient access to the heart of Bangkok's bustling central business district with a selection of prime shopping centres and the efficient Bangkok Transit System (BTS Skytrain) close by. On Wednesday, Jan. 18 at 11 a.m., Delaware North Parks & Resorts, in partnership with NASA's Kennedy Space Center, broke ground on the future home of the space shuttle Atlantis to be located at Kennedy Space Center Visitor Complex. NASA selected Kennedy Space Center Visitor Complex to permanently display space shuttle Atlantis in April 2011. The $100 million, 65,000 square-foot Atlantis exhibit will be the marquee element of the Visitor Complex's 10-year master plan proposed by Delaware North Parks & Resorts, which has operated Kennedy Space Center Visitor Complex for NASA since 1995. The exhibit will provide guests a unique vantage point to view Atlantis up close, while telling the story of the 30-year Space Shuttle Program through a number of hands on, interactive and immersive mediums. The grand opening of the showcase facility is slated for summer 2013. Speakers at the groundbreaking ceremony included (in order of appearance): Bill Moore, Chief Operating Officer, Kennedy Space Center Visitor Complex; Janet Petro, Deputy Director, John F. Kennedy Space Center; Jeremy M. Jacobs, Chairman and Chief Executive Officer, Delaware North Companies; Chris Ferguson, Commander, STS-135, Atlantis; and The Honorable Jennifer Carroll, Lieutenant Governor of the State of Florida. Distinguished guests included elected officials, leaders from the community; space and tourism industry representatives; and astronauts. Entertainment was provided by the Titusville High School band and guests were greeted by 33 Apollo elementary school students waiving Atlantis flags, each student representing an Atlantis mission. The groundbreaking commenced with a rendering of the national anthem sung by Jennifer Fiore, a member of the 920th Rescue Squadron. "This is an incredible day for our nation's space program," said Moore. "Today marks the start of a new era in which this magnificent ship, Atlantis, which has traveled to space and back an astounding 33 times, will remain docked in her home port, displayed in all her glory with a new mission to uphold — to inspire a new generation of space explorers who will take us to even greater heights." Moore continued, "We are extremely proud and excited to break ground today on what will be the crown jewel of our 10-year master plan for Kennedy Space Center Visitor Complex." headquartered in St. Louis, Mo., and to be built by Whiting-Turner Contracting Company in Orlando, the six-story exhibit will be located in the Shuttle Plaza adjacent to the existing Shuttle Launch Experience. A work of art in itself, the exterior of the Atlantis exhibit will be comprised of two sweeping architectural elements, or "wings" representing the space shuttle's launch and return. The outer layer of the building, which will be cloaked in iridescent hues of orange and gold, represents the fiery-glow of reentry. The taller, internal wing of the building will be covered in a shimmering tile pattern in varying tones of gray designed to represent the tiled underside of the orbiter. At the entrance to the Atlantis exhibit, guests will be greeted by a full-size, upright, replica external tank and two solid rocket boosters. On the opposite side of the tank and booster assembly, a silhouette of the orbiter is attached to show guests its exact size and placement. The 184-foot-tall space shuttle stack will give visitors a true sense of the massive size and awesome power used to thrust the shuttle into low-earth orbit, however, they will have to travel a little further and wait a few more moments to get up close to the real thing - the actual orbiter, Atlantis. Further details concerning the $100 million exhibit will be revealed in phases as the project continues toward its opening date of summer 2013. One of just three of America's remaining space-flown orbiters, Atlantis will be shown with payload bay doors open and the Canadarm extended. In the distance, a sliver of sunrise is revealed as the orbiter emerges from the far side of its 90-minute orbit around the earth. Kennedy Space Center Visitor Complex opens at 9 a.m. Closing times vary by season. The Visitor Complex is open daily except December 25 and certain launch days. Admission includes the Kennedy Space Center Tour, Shuttle Launch Experience, 3D IMAX® space films, Astronaut Encounter, Exploration Space: Explorers Wanted and all exhibits. Admission also includes the U.S. Astronaut Hall of Fame®, featuring historic spacecraft and the world's largest collection of personal astronaut memorabilia, open from noon until 6:00 p.m. daily. Parking, wheelchairs, strollers and pet kennels are free of charge. Admission is $43 + tax for adults and $33 + tax for children ages 3-11. The Kennedy Space Center Visitor Complex Commander's Club Annual Pass is $56 + tax for adults and $46 + tax for children ages 3-11. For more information, call 877-313-2610 or visit www.KennedySpaceCenter.com. 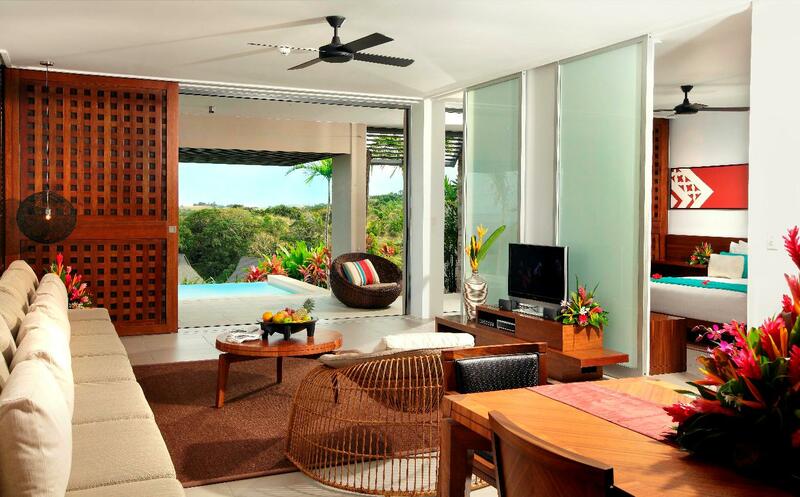 The 2012 TripAdvisor Travellers' Choice awards for Best Hotels has placed four Port Douglas hotels in the overall Top 25, with 2 in the Top 10. Port Douglas operators received another ten placings for categories including B&Bs, Luxury, Relaxation/Spa, Trendiest and Best Service. "It's a great result for our region and shows the popularity of the diverse range of excellent accommodation in this fantastic destination," said Doug Ryan, executive officer of Tourism Port Douglas Daintree. Tourism Port Douglas Daintree members are justifiably proud of the recognition in the newly announced 2012 TripAdvisor Travellers' Choice awards. Antonia and Fred Eggers, owner managers of Martinique on Macrossan which rated No. 3 of all Australian hotels, say their guests appreciate the total package. "We're fortunate to have repeat guests from all over the world who say they enjoy the total package here - service, price, hospitality, location. We enjoy great interaction with our guests - it's the key to this business. The recognition by TripAdvisor is very, very good for Port Douglas,' said Fred Eggers. 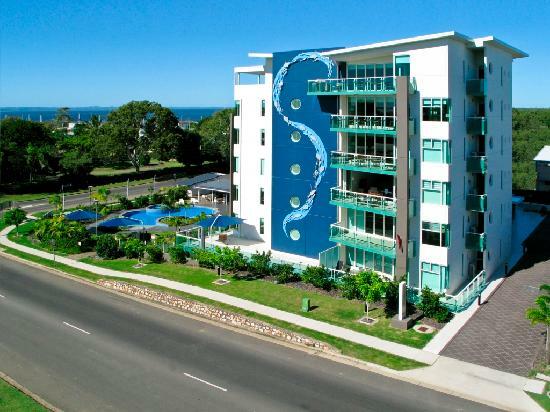 Ros Bourguignon, manager of Coconut Grove Apartments, said they were honoured and delighted to be rated No.9 in Australia for excellence in accommodation and No. 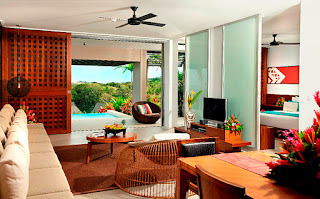 4 in Australia for luxury accommodation. "Coconut Grove was built as a benchmark property to provide unique five star luxury accommodation in the heart of Port Douglas. We strive to provide our guests with excellence in service and to ensure our amenities are second to none. We would like to thank all our patrons who have taken the time to provide feedback on TripAdvisor and allow our property to be ranked as one of Australia's best," said Ros Bourguignon. Highly regarded as one of Sydney's finest coffee roasters, Toby's Estate is set to open at the T2 domestic Sydney Airport early 2012, so that interstate travellers can start their journey with an exceptional cup of coffee. Like the many travellers it will now serve, Toby's Estate boasts a remarkable journey of its own since its humble beginnings in a Woolloomooloo garage, when Founder and Director, Toby Smith convinced his mother to let him take over the space in order to pursue his dream of brewing the world's best coffee. Today, Toby still treks the globe on the hunt for the best green coffee beans and brings them back to be roasted fresh for customers across Australia. On his mission, Toby has seen his fair share of airports, realising the demand of travellers for a better than decent cup of coffee. He explains, "For so many, commencing their journey with a cup of coffee is an integral part of their travel routine and so I wanted Sydney travellers to be able to enjoy quality coffee in a stylish environment." Toby's Estate coffee is sustainably sourced direct from the farmer and is uncompromised in quality and freshness. Andrew Gardiner, Sydney Airport's - General Manager Retail says, "Sydney Airport boasts quite a coffee culture with passengers, visitors and staff consuming thousands of cups daily so we are thrilled to have an outlet committed to serving Sydney's best coffee at the airport." Sydney Airport currently services over 35 million domestic and international passengers annually, with passenger numbers expected to more than double to 78.9 million per year over the next two decades. The recent re-development of Sydney Airport's International Terminal has seen the addition of new passenger waiting areas and an improved retail and food & beverage offer featuring a wide variety of leading international and domestic brands. Australian Jay Whyte, founder of the multiple award winning Sigatoka River Safari in Fiji has launched a new tour, Off-Road Cave Safari. 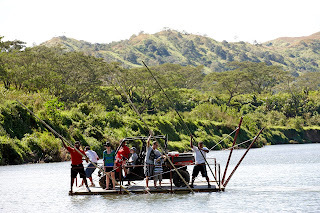 The tour is Fiji's original and only off road safari and takes passengers to Naihehe Cave, Fiji's largest Cave system, where passengers learn about its fascinating history. The Off-Road Cave Safari came about as a natural transition that complements the existing Sigatoka River Safari. "Passengers on the Sigatoka River Safari hear about the cave and are amazed by its history, so this is an opportunity for them to actually visit the cave and see it first hand,' says Jay Whyte, Managing Director, Sigatoka River Safari. The Off-Road Cave Safari begins in Sigatoka Town where passengers are driven into the interior of the Sigatoka Valley and along the way learn more about the history of the area and why it's referred to as Fiji's Salad Bowl. Here the real adventure begins! The group jumps on the ATV's and drive down to the river side where passengers and their ATV's hop on a 'bilibili' or 'push-push punt' and learn how the Fijians transported their rafts, or in this case their barge across the river. Once the barge reaches the other side passenger's hop back on their ATV's and head further inland along a rarely used road. "Guests will be amazed by the spectacular scenery and each guide stops at particular points to share interesting stories from the valley. Being in the ATV's is not only exciting but it allows guests to take in the beautiful scenery in open air comfort." Continues Jay. After the ATV's arrive at Naihehe Cave the group present their sevusevu (kava) to the 'betes' (priests), the traditional protectors of the Naihehe Cave, asking for permission to enter the cave. Once inside the cave, guests will learn that the Naihehe Cave, which at more than 170 meters long, means "a place where you can get lost", was once a fortress for a cannibal tribe and still contains a cannibal oven, a ritual platform, a sacred priest chamber and other reminders of its cannibal history. The group also learns how enemies would be attacked trying to enter the "pregnancy gap" of the cave. This passage way is little more than head high above the waterline and must be squeezed through to get into the main cave chamber, so enemies would be unprepared when attacked. This tour gives passengers a first had experience of the caves – from the water up to your calf muscles as you first enter, to entry into the main chamber being at crouching height – they can really imagine and experience what life inside the cave was like. After exploring the caves a fresh lunch is enjoyed by all before heading back to the ATV's and beginning the homeward journey. This too is a memorable experience as your guides stop along the way allowing all guests the opportunity to shake hands with and meet the locals, passengers can also enjoy a refreshing swim in the river. Off-Road Cave Safari operates Monday to Saturday with tours departing at 8.30am and 1.00pm. All prices include lunch and for pick-ups from Coral Coast resorts adults are FJD$239 and children (4 -15yrs) are FJD$110. Prices for pick-ups from Nadi/Denarau resorts are adults FJD$260 and children (4 to 15yrs) FJD$120. Millions of TripAdvisor travellers from around the world have spoken, voting InterContinental Fiji Golf Resort & Spa as one of the most luxurious resorts in Australasia and the South Pacific region. InterContinental Fiji was the only resort in Fiji to take out double accolades in both the spa/relaxation and luxury accommodation categories of the TripAdvisor 2012 Traveler's Choice Awards, which are based on first-hand reviews from travellers around the world. 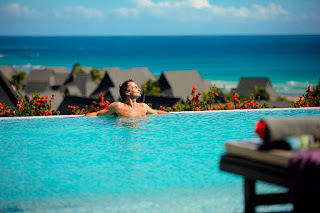 The award recognises the resort's commitment to impeccable service through its many facilities including Spa InterContinental and Club InterContinental – a resort within a resort featuring a private lounge and 55 hilltop suites all with opulent Cleopatra baths, 24-hour personalised butler service and a host of benefits and services exclusive to Club InterContinental guests. "To receive any award is always great, but to be rated so highly by our guests is absolutely fantastic. Such a high ranking in the TripAdvisor awards is an accolade to cherish, and something we'll be working very hard to maintain," said InterContinental Fiji Golf Resort & Spa General Manager Scott Williams. To celebrate its prestigious listing, InterContinental Fiji Golf Resort & Spa is offering accommodation in a Garden View Room from FJD$544 (approx AU$293) per night. An upgrade to a Club InterContinental suite is available from FJD$1252 (approx AU$674) per night*. Spread across 35 acres of tropical gardens, InterContinental Fiji offers all of the facilities and services expected of an international resort, including four swimming pools, its own on-site dive centre, a recreation and beach activities centre, volleyball, petanque lawn, yoga deck, Spa InterContinental, championship golf course, a full gym and fitness centre, and on-site shopping and tour facilities. For more information or to make a booking at InterContinental Fiji Golf Resort & Spa, call 1800 221 335 or visit www.intercontinental.com/fiji. 10th Year of Awards Honors the Most Outstanding Properties, Now Expanded to 30 Countries and 8 Regions Worldwide. TripAdvisor, Inc., the world's largest travel site*, today announced the winners of its 2012 Travelers' Choice® awards. The 10th annual awards has revealed premier properties in the U.S. and world, in addition to winners in the categories of Best Luxury and Bargain, Best for Service, B&Bs and Inns, All-Inclusive, Spa, and Trendiest. In total, 3,943 properties globally have been recognized this year with dedicated lists featured for 30 countries and eight regions worldwide. Unlike any other hotel honors, TripAdvisor Travelers' Choice winners are based on millions of valuable reviews and opinions from travelers around the world. As TripAdvisor has continued its growth globally, featuring sites in 30 countries and in 21 languages, the Travelers' Choice Hotels awards now highlight a broader range of spectacular properties across the globe. This is TripAdvisor's biggest awards ever, with lists covering 19 new markets and expanded categories from "Top 10" to "Top 25" winners, providing more inspiration for travelers seeking remarkable properties around the world. The average nightly rate(1) for 2012 Travelers' Choice Hotels award winners is $270 and 45 percent have an average nightly rate of $200 or less per night. Average nightly rate for the Best Luxury hotels is $455, Best Bargain $106, Best for Service $255, B&Bs and Inns $124, All-Inclusive $488, Spa $376, and Trendiest $253. "TripAdvisor is incredibly proud to announce its Travelers' Choice award-winning hotels for the tenth year," said Barbara Messing, chief marketing officer for TripAdvisor. "We're also thrilled to grow our awards with winner lists for twice as many markets globally this year, as we continue our mission to help more travelers around the world plan and have the perfect trip." (1) Average nightly rates averages reflect those properties with rates listed on TripAdvisor. 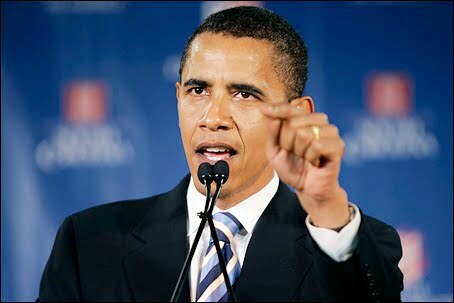 US President Barack Obama has launched a bold new plan to revive international tourist travel to the US and claw back the country’s international tourism market share. America’s share of the international tourism pie has been shrinking for many years. The initiative, long overdue, will make it easier and faster for tourists to visit the US. The proposed measures have won strong support from virtually all sectors of the US travel industry, an indication that they are on the right track and a sound step for America. At the same time, it has worried the Australian industry. If foreign tourists find it much easier to visit America, they may do that instead of visiting Australia. Tourists from China, for instance, currently need to get a visa to come to Australia and it can be a hassle. For America, Obama’s new plan is a milestone. More than many countries, the US needs to tread a fine line, welcoming tourists while keeping out those who seek to damage the US through terrorism, or who want to come in ostensibly as tourists and then stay. "Finned" Sharks scatter the ocean floor. Shangri-La Hotels and Resorts has announced its 'Sustainable Seafood Policy' including the commitment to cease serving shark fin in all of its operated restaurants as well as accepting new orders for shark fin products in banqueting with immediate effect. Future banquet bookings made prior to this date will be honoured as per the signed contractual agreement. At the same time, Shangri-La announced that it will phase out Bluefin tuna and Chilean sea bass in all its operated restaurants within the year. 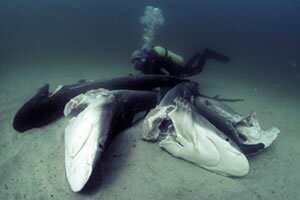 In December 2010 the company initiated the process with the removal of shark fin products from its restaurant menus. The new policy is a continuation of Shangri-La's journey towards environmental support. The company launched its first CSR initiatives in 2005 which were streamlined and formalised in 2009 in the three main areas of Sustainability, Embrace and Sanctuary towards a strategic commitment to Corporate Social Responsibility. 'Sanctuary, Shangri-La's Care for Nature' project was introduced specifically to ensure consistency in biodiversity, conservation and habitat protection across all resorts. Projects include the development of marine sanctuaries to ensure reef protection and stability of the underwater and marine life. Two years later, in May 2011, the company published its first Sustainability Report outlining the company's progress in the areas of environment, health and safety, employees, supply chain and stakeholder relations. Shangri-La's ethos and core values show a commitment to the environment that the company does business in. As part of the CSR efforts, Shangri-La has been working on a number of projects related to sustainability for several years. The sustainable seafood campaign has been on the forefront as the initiative will deliver immediate results. Shangri-La will continue to review and refine its overall programmes including environmental and sustainability issues. Hong Kong-based Shangri-La Hotels and Resorts, one of the world's premier hotel companies, currently owns and/or manages 72 hotels under the Shangri-La, Kerry and Traders brands, with a room inventory of over 30,000. Over almost four decades the group has established its brand hallmark of 'hospitality from the heart.' The group has a substantial development pipeline with upcoming projects in Canada, mainland China, India, Malaysia, Mongolia, The Philippines, Qatar, Sri Lanka, Turkey and United Kingdom. 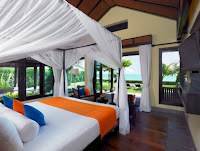 For more information and reservations, please contact a travel professional or access the website at www.shangri-la.com. Luxury travel company Abercrombie & Kent is delighted to release another in its collection of striking travel compendia for 2012. The 2012 Latin America brochure features a comprehensive collection of handpicked holiday ideas throughout South America from Chile in the south to Mexico and Cuba in the north, each one delivering A & K's customary style and panache. Celebrating its 50th anniversary in 2012, A&K has perfected the art of delivering seamless and inspiring travel experiences the world over. Each journey is personally tailored to suit the individual and enhanced by unique Insider Access opportunities. The company's evolution from its early days outfitting safaris in the African bush to today's sophisticated global travel business confirms a level of experience rarely seen. With it comes excellence and reliability, which means peace of mind and security for guests -A&K's most important commodity. All of this is made possible by the wealth of knowledge and experience that the company's collective network brings with it - a handpicked staff of over 2,200 and 60 offices worldwide. The most recent region to be targeted by A&K, Latin America is now a thriving facet the company's operations. Its first office there opened in Lima, Peru just over 10 years ago and today there are a further four offices and some 80 staff members across the continent. 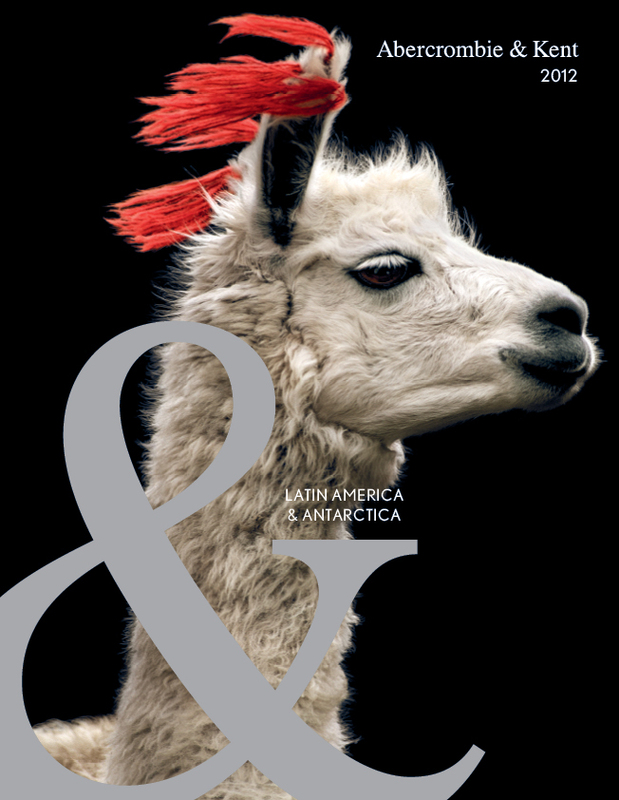 For diversity, Latin America is hard to beat and as A&K Managing Director Sujata Raman cites, "two of the recently voted 7 Wonders of Nature (the Amazon and Iguassu Falls) plus three of the New Seven Wonders (Machu Picchu, Statue of Christ the Redeemer and Chichen Itza) are in Latin America. It has dramatic scenery, rich cultural attractions, awe-inspiring monuments, unique wildlife and wilderness and world class hotels. For that reason it is our fastest growing destination." This year A&K has identified multi-generational travel as an increasingly dominant trend. There are many family favourites recommended by A&K in Latin America including the explora wilderness lodges where there's plenty of activity on offer for young and old alike, and the ultimate educational cruise destination – the Galapagos Islands. A&K's 12 day 'Sail the Enchanted Isles' from $10,385 per person based on twin share. Another new product stream for A&K in 2012 is its collection of small group journeys, all designed with the customary hallmarks of an A&K private journey, but gather like-minded travellers together for the experience. Leading local guides bring the destinations to life and group sizes are limited to between 14 and 18 guests. New for this year and featured on A&K's Hot List for 2012 is Cuba. The itinerary combines the nostalgia of Havana, Hemingway's heritage, classic cars and cigars, the colonial attractions down south and white sand beaches of Cayo Santa Maria. A&K's 10 day 'Captivating Cuba' departs 15 October 2012 and is priced from $4,595. Solo travellers pay just $790 more. Recently launched in the Galapagos is the newly refurbished MC Athala II, a luxury catamaran accommodating just 16 guests, with personalised service a key focus. Staterooms feature every creature comfort and a naturalist guide accompanies all shore excursions. There are two itineraries of different duration and opportunities for hiking, swimming, snorkelling, kayaking, bird watching and wildlife photography. A 5 night cruise aboard MC Athala II from US$4,380 per person based on twin share. The Chile and Argentina combination now offers a chance to explore Patagonia from both sides of the Andes. On the Chilean side the brand new Tierra Patagonia Hotel & Spa on the eastern border of the famous Torres del Paine National Park contrasts nicely with the smaller and more intimate Eolo in Argentinian Patagonia. Each has breathtaking scenery and a good choice of daily activity. A&K's 14 day 'Best of Chile & Argentina' from $11,515 per person based on twin share. Those guests seeking a short add-on to the remarkable Iguazu Falls can do it in a stylish combination with Buenos Aires. Combine an overnight stay at Hotel das Cataratas from Orient-Express, which gazes out over the Falls with a stay in the Argentine capital's Palacio Duhau Park Hyatt, one of the city's leading hotels. A&K's 5 day 'Iguazu Extension' from $3,115 per person based on twin share. A number of new boutique hotels have been handpicked by A&K for inclusion in its South American portfolio. These include some city stand-outs: the stylish Legado Mitico in Buenos Aires; the cosy and well located Le Reve in Santiago; Guayaquil's Mansion del Rio next to the Guayas River in the heart of the old town and the discreetly situated and exclusive La Casona Inkaterra in Cusco. In the Salta province of north-west Argentina A&K introduces the charming colonial style La Merced del Alto and the elegant House of Jasmines. A&K Philanthropy has added its support to the St Mary of the Angels project in Ecuador. This initiative was established to provide a home, food, education, health care and a family atmosphere for orphans and abandoned children living with HIV/AIDS. Guests are welcomed with open arms as the children proudly show off their home! Along Vietnam's stunning southeast coast, Anantara Mui Ne Resort & Spa redefines luxurious beachside living with indigenous appeals. Located 198 kilometers northeast of Ho Chi Minh City, Anantara Mui Ne is a place where the sea meets the sand dunes in a paradise of relaxation. Guests can set out on an exhilarating jeep tour or race down towering sand dunes on mats, experience the rhythm of coastal life at Mui Ne village or hire a boat and glide across the famous fresh water White Lake "Bau Trang." Guests can also discover the rich Vietnamese culture by taking a short speedboat ride to a small island and climb the 184 steps of Ke Ga Light House – a historic relic of original Binh Thuan architecture is now a major tourist attraction and offers wonderful views. Follow a thrilling adventure with a pampering wellness journey at Anantara Spa, where an indulgent menu is inspired by lotus flowers and treatments harness the highly prized nourishment of coconuts. For a gastronomic experience of Vietnam, the resort also has five restaurants and bars offering an authentic Vietnamese dining experience. A degustation menu in The Wine Cellar, and Dining by Design romance in idyllic resort settings, as well as off-site in the midst of natural and cultural wonders, are also on offer. the pinnacle of which is an Anantara Two Bedroom Beach Front Pool Villa – a sanctuary for families, or couples and friends travelling together. Banqueting, event and meeting facilities comprise four conference rooms for up to 250 participants, as well as exceptional al fresco reception locations. If its adventure or just lazing on the beach, make the most of your holiday in Vietnam at Anantara Mui Ne Resort and Spa. From lush jungles to pristine beaches and legendary deserts to cosmopolitan cities, Anantara currently boasts 17 stunning properties located in Thailand, the Maldives, Bali, Vietnam and the United Arab Emirates and will see new openings in China, Bali and Abu Dhabi in 2012. Lee Atkinson's Australian Road Trips iPhone/iPad App has just been released on iTunes. The guide includes 25 long distance drive holiday routes around the country, plus dozens of shorter weekend and day drives. Each road trip includes driving directions and distances from wherever you start your trip, recommendations on what to see and do, where to eat, accommodation options, even where you can camp; more than 265 entries all up and 2300 images. Virgin Atlantic defines the ‘IT’ factor. Inviting travelers to jump into bed with them, Virgin Atlantic use Sydney International Airport as its stage, showcasing why they're the airline that's got "it". While they wait to board other carriers at Sydney International Departures, travellers are treated to a tantalising taste of what it's like to fly Upper Class with Virgin Atlantic, for the month of January. After walking through immigration and clearing customs, travellers are warmly greeted by Virgin Atlantic Cabin Crew and encouraged to lie back and try their award winning fully flat bed, take a seat at their trademark on-board bar and jump into the back of the Virgin Atlantic London Taxi to enter a competition to win a trip for two to London. "Australians love their travel and are crying out for a better way to fly. Research shows that once you've flown Virgin Atlantic you are very likely to fly us again. Bringing the Upper Class experience to Sydney Airport gives passengers who have never travelled with Virgin Atlantic a chance to get a true sense of what they'd experience. We're putting ourselves out there for people to try before they buy. And we're confident that one taste will get them hooked! " "Definitely the best airline and service I have received, I will never go back"
"Oh wow, is this really for free, how generous of Virgin Atlantic, this is such a great service and the education and awareness you have just given us is great, I wouldn't have known any of this or even considered flying Virgin if it wasn't for the promoter engaging in conversation with us"
Offering more than just a lie down, the Virgin Atlantic Cabin Crew turn on their famous sparkle and charm, handing out small surprise and delight gifts to passers-by. "At Virgin Atlantic we believe flying should be a pleasure, not a chore. Our products and planes are high quality, and our crew are hand-picked for their sparkling personality and dedication to gold standard customer service. With this promotion we want to show the magic touches that can really make the difference for the comfort of our travelling passengers. It is part of what we believe gives us that 'It' factor. Re-fillable water bottles with the reminder "Drink me. Stay gorgeous" to encourage frequent rehydration, a proven antidote to jet-lag. Gold and Silver Flying Club members receive books as gifts; Richard Branson's new book 'Screw Business as Usual' for the boys and the Girlosophy Travel Guide for the ladies. Virgin Atlantic has also teamed up with the Langham Hotel in London and launched a competition open to everyone, via their website, for a chance to win a trip for two to London to experience the Diamond Jubilee in July this year. To enter people must answer in 50 words of less why they think they've got the 'it factor. "Virgin has really shown their knockout aspects that I've never seen before" (spoken by a: Regular Business traveller that flies often"
The promotion runs until the 3rd February 2012. Virgin Atlantic launched 'You're airlines either got it or it hasn't' campaign in 2010 as with the aim of creating intrigue about what 'it' is and as a creative starter to talk about the key product benefits of flying Virgin Atlantic. The various creative executions depict the overarching experience of flying Virgin Atlantic, with key product benefits including limo transfers, an on board bar and one of the world's biggest fully flat bed in business class. The global assets were created by Y&R UK, and the global media strategy led by OMD International. Going for Golf: Who's the best?